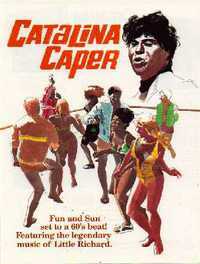 Catalina Caper (also known as Never Steal Anything Wet) is a 1967 comedy musical mystery film starring Tommy Kirk. It is one of the last (if not the last) in the beach party film genre. This entry blends the beach format with a standard crime-caper comedy. It was shot on and around Santa Catalina Island, California. The film was also featured in the second season of the movie-mocking television show Mystery Science Theater 3000 (MST3K). This webpage uses material from the Wikipedia article "Catalina_Caper" and is licensed under the GNU Free Documentation License. Reality TV World is not responsible for any errors or omissions the Wikipedia article may contain.